Connecting and empowering language teachers across Japan, one blog at a time. Bio: Annette Lee is a veteran ALT who currently works in the Osaka area. She earned a BA in Sociology and Linguistics in 2002 at the University of Washington in Seattle before coming to Japan for the first time after graduating to work as an intern for Sohatsu Systems, an IT company in Kobe. She later applied to the JET Programme and was placed in in a rural town in Hyogo. After spending a year in the JET Programme, Annette continued to work hard to improve her skills and knowledge. She worked for the dispatch company Interac before returning to the US. She also spent some time as a Sales Assistant for a Seattle based IT company that serves businesses in the US and Japan. Later she returned to Japan to continue her career as an ALT for Interac in Hyogo. In 2010, Annette launched the beta version of her website, Eigo Ganbare. Drawing on her previous challenges and experience, she made a website for both ALTs and JTEs to get and share resources for teaching English. She researched various team-teaching arrangements in different countries and found that ALTs in Japan lacked the same kind of resources ALTs get in other countries. Annette continues to strive to support ALTs and encourage JTEs in Japan so they can enjoy their work by positively contributing to English education in Japan while gaining a deeper understanding of diversity and what it means to be a global citizen. As for the future of Eigo Ganbare, Annette is currently working on a classroom portal for teachers and students that uses a combination of traditional and digital material like interactive quizzes. The goal of this portal is to reinforce the information students have learned and allow for further self-study outside of school. Native English-speaking Teachers (NETs) in Japanese public schools can be seen as an educational investment, enriching Japanese students to the world outside of Japan and broadening their understanding of mixed ethnic cultures in English-speaking countries. But, how is that possible in a homogeneous country like Japan? Because challenges exist which disrupt the potential of fully implementing an effective team-teaching program in the Japanese English education system. We can, however, set our minds with a positive attitude, take innovative steps with a forward-thinking purpose, and believe that we can achieve success. It begins in incorporating a well-efficient plan with everyone’s cooperation, trust, and belief in one another. With these in place, the flow will proceed smoothly and a vision of a successful team-teaching program can be established in the schools and the communities. In the mid-1990’s, before I became a NET in Japan years later, I had this rare opportunity to be taught by two high school Japanese language teachers working together in the classroom. One was the lead teacher and the other was the assistant teacher from Japan. I always saw them five days a week and the target language of Japanese was almost always used in every class lesson. I could also learn about Japanese culture/customs. There were opportunities to enter the annual Japanese speech and skit contests because those were class assignments. My school also had a Japanese club with Japan-related outings. Then, in my last year, I met a class of Japanese students from Japan when they visited my school. For that one day, we did group presentations to introduce our country and shared valuable cultural memories with each other. All of these experiences happened in a public school! As for my assistant teachers, I never saw them replaced by another assistant teacher in the middle of the school year and they could stay in the same school for more than a year. Moreover, they were able to have opportunities to make a contribution at my high school, build good relationship with my lead teacher, and become a member of an Association of Teachers of Japanese. In Japan, the English education curriculum is quite complex and different from the U.S. in how it tailors team-teaching in their schools. 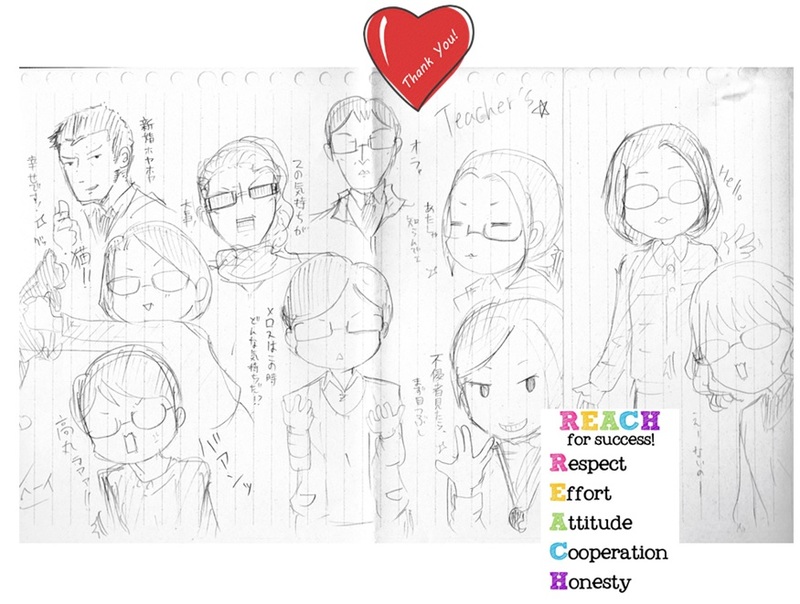 Japanese Teachers of English (JTEs) can be assigned as the homeroom class teacher and share their work responsibilities with other subject teachers. These include taking care of the school’s academic scheduling, reports, events, meetings, clubs, and so on. Then, when it comes to their classroom teaching and other English-related responsibilities, their official English textbook curriculum becomes the biggest priority and it carries that influence on to students to mainly focus on passing the entrance examinations. Therefore, the students’ opportunities to benefit from “regular” team-teaching learning with their JTE and NET varies greatly. 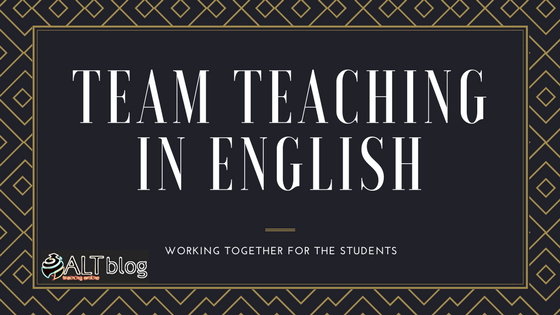 So, what can be done to properly increase the number of team-teaching lessons in an English class? First, integrating the NETs into the JTEs’ regular scheduled lesson curriculum would be a good start rather than it being a supplement to team-teaching in English class. Because it helps keep JTEs accountable to fully utilize their NETs, incorporate cultural lesson activities in class, and make the progress of the program grow within the school. If possible, try implementing it on a daily basis, or as close to it, and only schedule NETs with their JTE to multiple schools for “educational outreach” purposes. Find a way to make it work! JTEs and the NET also have to discuss lesson plans, so it’s essential for them to be seated with or within close proximity to each other in the teachers’ room. These NETs aren’t just enthusiastic short-term assistant teachers, but include long-term experienced NETs. There are genuine NETs as well with unique, individualistic, and diverse teaching skills willing to contribute to their school(s) and have hopes to build a trustworthy relationship with school teachers. They give their best effort to work with JTEs, support English-related after school programs, and much more. It is also a good opportunity for all school teachers to learn more about their NETs and acknowledge what they can do in the school to be a productive member. For example, NETs in junior high schools can take part in what other teachers do at work. They can be assigned as the cleaning lead/sub teacher for a group of students to clean the classrooms, be assigned to a color team with work responsibilities on Sports Day, and so on. In regards to resources, purchasing a district school license for domestic and international teaching materials for the English department in each Japanese school and providing a work laptop for every NET is an investment in providing quality education. The budget for it does exist and it’s possible! For example, funding for Japanese public schools that are given the opportunity with a special subsidized budget to be a “model” school, equipped with hi-tech resources in classrooms and an ICT specialist to train school teachers for a period of time, has already been set aside as a trial. Moreover, those who are in such schools, should take advantage and utilize it efficiently. It’s up to teachers and educators to make wise choices, think of the students’ future, and expand the model program to other schools. 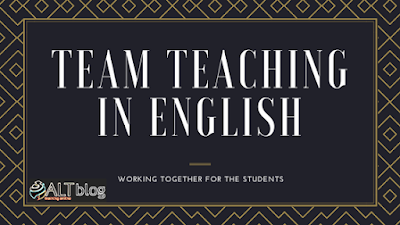 Let’s also do this with the English team-teaching program! To do so effectively and efficiently, please see “Goal and Outcome” at http://www.laurasian.org/jleap/index.html and “Benefits” at http://www.laurasian.org/jleap/benefits.html to visualize what a successful team-teaching program is like in the U.S. Then, try to use it as a catalyst to prioritize the quality necessities in the Japanese English education, as well as a way for more Japanese public schools to establish a mutual international connection with public schools abroad. 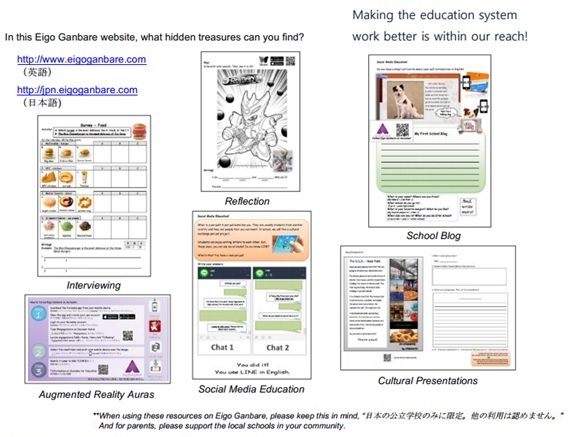 Over the years, I’ve also been developing teaching resources and putting them on my website, Eigo Ganbare. Many JTEs can only have access to limited, shared teaching resources, and must follow a rigid public school English curriculum. But, if they were provided a balanced workload, teaching flexibility, and a smooth access to resources such as Eigo Ganbare and other educational sites developed by NET/JTE volunteers or licensed English teachers/educators, then they could more confidently enjoy teaching with a purpose and encourage their school to request additional resources to motivate their students. Even NETs who use pre-made lesson plans and activities from external sites can be inspired to create better lessons of their own or with their JTEs. What’s your idea that you “CAN” add in class? Read more articles, The Pen Pal Project and JHS English Club: Success is Doing. To learn about another team-teaching philosophy through the eyes of your fellow Japanese, teaching as an ALT in the U.S., please read their essay report at https://www.jflalc.org/jle-j-leap. If you have something 'ALT' to write about that hasn't been covered in these blogs, email David Hayter at: alttoblog@gmail.com so we can work together and spread your story. Don't have any ideas? ALT training online we have a list of topics to write about that need a writer. Email in your interest to write and we can set you up.